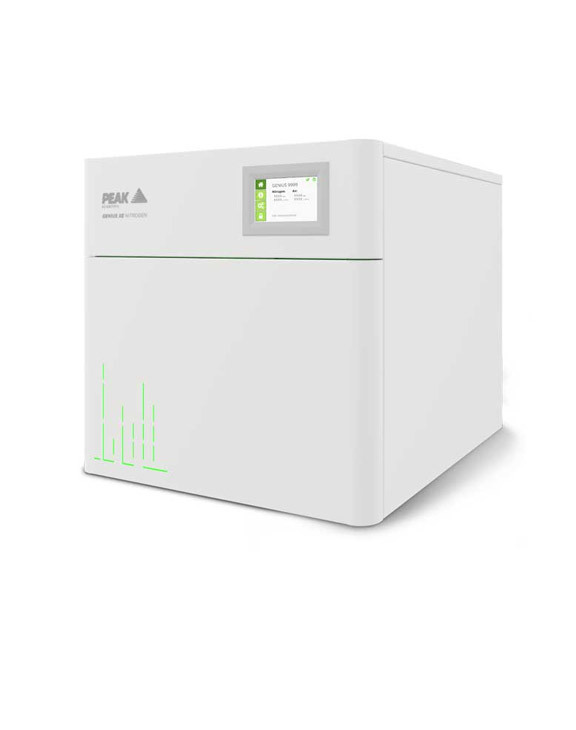 Our Genius XE nitrogen generator takes an already reliable and high performance laboratory nitrogen gas generator and delivers even greater performance. 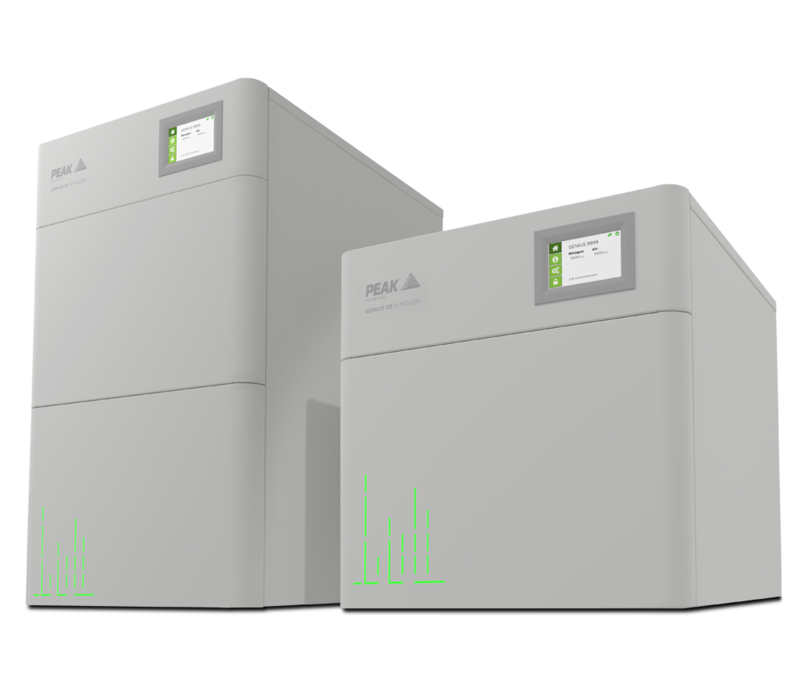 Genius XE nitrogen generator is designed from the ground up to deliver maximum performance, for labs that can’t afford to compromise. The perfect combination of innovative technology and expertise, to meet the needs of even the most demanding laboratories. Genius XE nitrogen generator gives you 24/7 365 nitrogen on-demand. Using our latest nitrogen generator technology gives you confidence in your analytical accuracy. Smaller, more discrete, and easier to use than ever before thanks to PeakOS™. With flexible flow rates and purity up to 99.5%. Built to exacting standards in our high-tech UK manufacturing facility, Genius XE gives you 24/7 365 nitrogen on-demand. 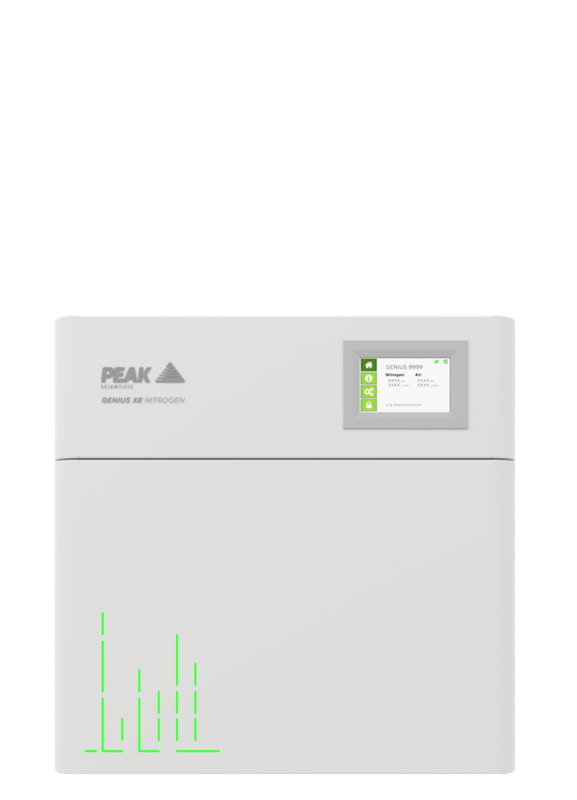 Using our latest generation technology gives you confidence in analytical accuracy and the peace of mind of having a global leader in your lab. 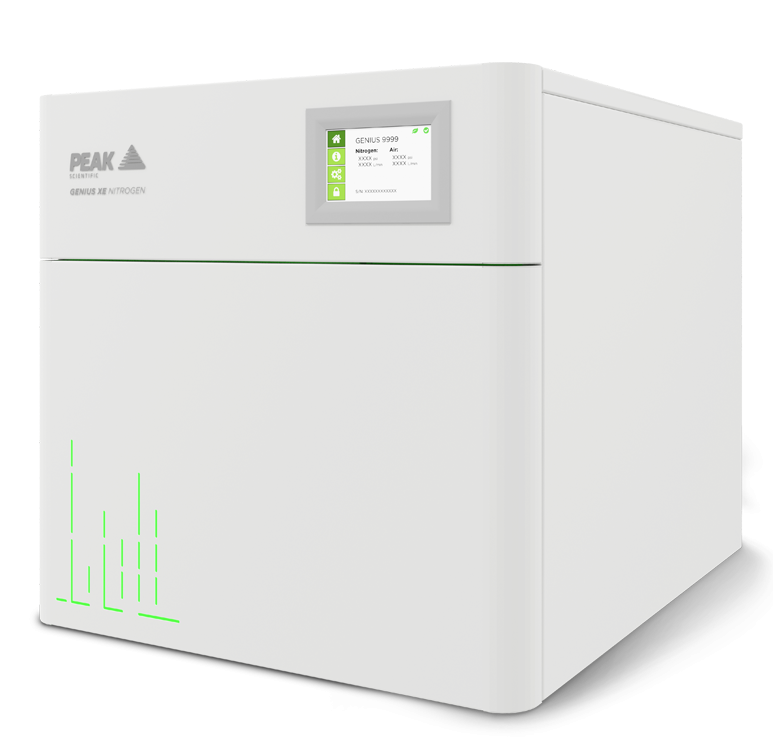 Smaller, more discrete, and easier to use than ever before thanks to PeakOS™, Genius XE is the ultimate solution for zero-stress nitrogen gas in the lab. With flexible flow rates and purity up to 99.5%, Genius XE is a versatile solution for various instrument gas needs including LC-MS, ELSD or sample evaporators. Everything about Genius XE nitrogen generator has been designed with either superior performance or user experience in mind. 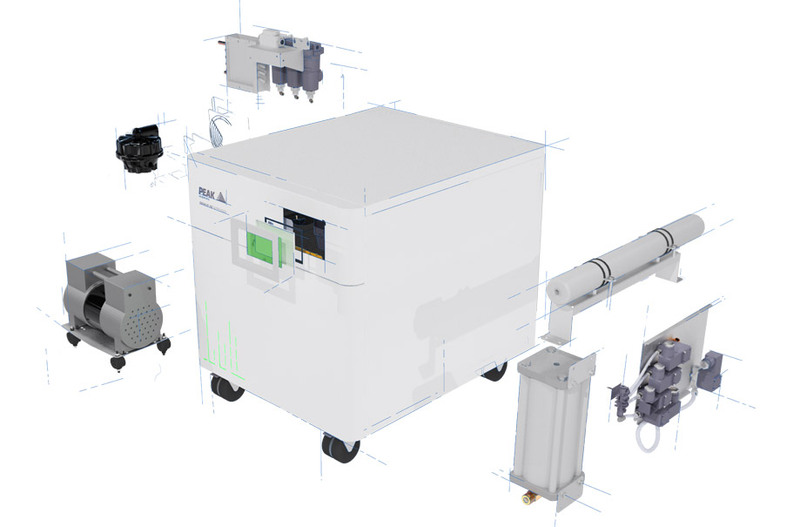 With latest advances in mass-spectrometry and increasing performance and higher sensitivities, the quality of nitrogen is more important than ever. Our approach to incorporate more stages of filtration technology than ever before and following years of research into new filtration, adsorption and drying technology, has led to Genius XE defining new benchmarks in gas quality and usability. 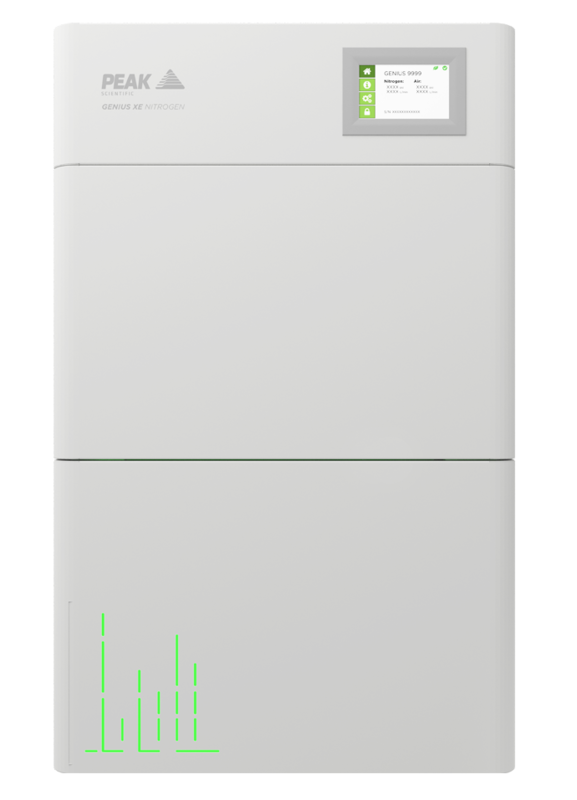 Engineered to exceptionally high specification and using proven and precision designed components, developed and refined over years of experience in manufacturing nitrogen generators for the laboratory, Genius XE is built to perform day in, day out. For information on the existing Genius series click here. *Year 2 of warranty subject to generator being serviced at end of year 1 by a Peak-approved agent in accordance with fixed annual maintenance schedule. perform day in, day out.